Be a savvy consumer rather than an easy "Mark"
If you are a parent of a newly diagnosed child, there is a danger that you may start providing unsubstantiated treatments for your child. Don’t worry, though. It is easy to be inoculated against quackery. erstand that parents of children with autism have enriched the lives of many purveyors of unsubstantiated autism therapies and treatments, your quack meter will become finely honed. There are many reasons for the vulnerability of the new parent, one of the most obvious being that, as a new parent, you search frantically for the best treatment for your child. Yet you are not necessarily prepared with the knowledge you require to sift through all the information bombarding you from everywhere and everyone (often from the most well-meaning people). 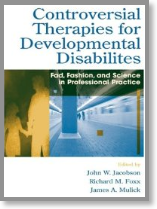 A great book on this topic is Controversial Therapies for Developmental Disabilities: Fad, Fashion, and Science in Professional Practice. The authors go into great detail as to the hows and whys the diagnosis of autism is a quack magnet. 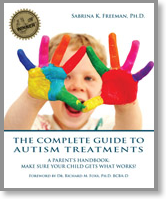 If you would like to arm yourself with the information you need to be able to judge for yourself whether a treatment that is being recommended has any science behind it, I encourage you to read my latest book, The Complete Guide to Autism Treatments. 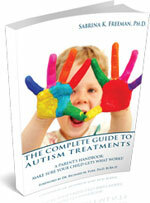 The book evaluates the science behind every treatment offered for autism. In addition, it provides a primer on the scientific method so that you will be able to evaluate the next, emerging treatment introduced to the autism field. Do you have a bibliography of research articles published in peer-reviewed journals that I could take with me? Either way, allow science to protect your child and your wallet!